Plus a free eye test at Asda Opticians worth £15. Is this not free at your doctors. These are free at the doctors and possibly safer! If its a proper eye test they are not allowed to withold the prescription, you may have to ask but it is the law that they give it when asked. Some screening for certain groups, eg. over 55's men every so many years, or screening for specific diseases, whatever arrangement have been made with the Primary care trust in that area, often dependent on whatever scheme is in operation at the time; but the Doctor is there for treating conditions, and won't usually run checks without a reason or potential symptoms, so if you are 30, fit and not ill, and ask for a diabetes test, then usually they will ask WHY you want one. Might still be reasons to give you one, but you aren't entitled to dictate what tests he will run. Mind you, for the same reason, why get these tests if you have no specific reasons or symptoms? If you HAVE specific reasons or symptoms, then it makes more sense to go to the Doctor, there might be good reasons to run more tests than these very basic ones! They aren't, but in any case, what's unsafe about it? God, don't encourage them. This is the creeping open of the door that leads to the privitisation of the UK health service. And the last thing we want is a US style system of needing private health insurance. i never have any problem getting in at my doctors! Don't Llyods the chemist chain do free health checks? I remember having my BP checked and i'm sure they do other health screens if you ask. BMI you can do yourself at home. The others don't really need checking unless you are suffering from something in which case its free! But a bargain none the less for the hypochondriacs! Don't Llyods the chemist chain do free health checks?I remember having my … Don't Llyods the chemist chain do free health checks?I remember having my BP checked and i'm sure they do other health screens if you ask. cant go wrong for a fiver. God, don't encourage them. This is the creeping open of the door that … God, don't encourage them. This is the creeping open of the door that leads to the privitisation of the UK health service.And the last thing we want is a US style system of needing private health insurance. Errr is that the 'royal we', maybe the last thing YOU want, the sooner we have a competitive 'private' payment system where people pay for and get the treatment they require in a dignified, professional, timely manner by professionals who realise the 'customer' ie 'royal we' will go elsewhere to another private provider who provides a better and more caring professional service - the better. We'll pay less NI, packages will be built into remuneration, and only the spongers and workshy will have something to be afeared of, the ambulanceman asking for proof of insurance before carting down the meatmarket - so stuff the 'royal we' thank you very much, we don't all concur with your socialist views. We follow the US in ALL aspects of everyday life, this is inevitable and pending, the sooner we wake up to it the better. Yeah, it could be fatal if they get your BMI wrong!!! will he/she give you a written break down of readings? LDL's? will you get an eye sight test? Well, I look at this the other way around: this is a fiver for an eye test with a few other bits and pieces thrown in for free. In which case (and assuming you are given the prescription), good price. No.Some screening for certain groups, eg. over 55's men every so many … No.Some screening for certain groups, eg. over 55's men every so many years, or screening for specific diseases, whatever arrangement have been made with the Primary care trust in that area, often dependent on whatever scheme is in operation at the time; but the Doctor is there for treating conditions, and won't usually run checks without a reason or potential symptoms, so if you are 30, fit and not ill, and ask for a diabetes test, then usually they will ask WHY you want one. Might still be reasons to give you one, but you aren't entitled to dictate what tests he will run.Mind you, for the same reason, why get these tests if you have no specific reasons or symptoms? If you HAVE specific reasons or symptoms, then it makes more sense to go to the Doctor, there might be good reasons to run more tests than these very basic ones! Lol, only a fool would use the US as a model for healthcare! the sooner we have a competitive 'private' payment system where people … the sooner we have a competitive 'private' payment system where people pay for and get the treatment they require in a dignified, professional, timely manner by professionals who realise the 'customer' ie 'royal we' will go elsewhere to another private provider who provides a better and more caring professional service - the better. Yes, because it works so well for low-paid employees in the US. You seem too naive to realise this, but having a private health insurance policy does not guarantee you "the treatment you require". In the American system you are even more subject to cost-benefit calculations and the whim of profit-margins than in the UK. The average Mr and Mrs Joe Public are much more likely to get the the treatment they require in the UK than in the US. Of course, because the only people who can't afford adequate health insurance in the US are the spongers and the workshy. we don't all concur with your socialist views. Thankfully the vast majority of people in this country see your views on privatised health insurance as the abomination they are, and realise that the NHS is the greatest thing this country has ever done for itself. This is just so unspeakably stupid that it's impossible to know where to begin. Gun control, perhaps? Worth it for the cholesterol test if nothing else. If a £5 hotukdeal saves one person from a heart attack them it's a hot deal from me. Yes free after waiting 4 weeks to see your Dr.
£5 is not bad if you have a doctor with a 2 week waiting list, The eye test is worth that on its own. 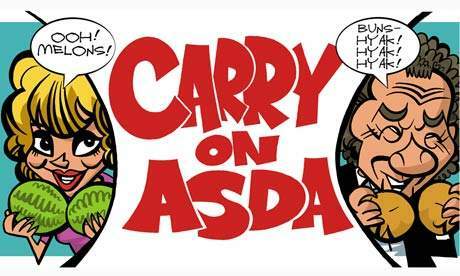 I get bupa cover with work but if some people pay for asda to do things instead of going to the GP then that can only be good for the NHS as it reduces their costs and waiting lists too! No, just a doctor who wouldn't want an americanised system of healthcare. Good deal, even if only for the eye test for a fiver. However, the cholesterol and glucose test are not that accurate because they use test kits (which you can buy, very expensive). These have been proven as not that reliable, (taken from finger stab). ALSO the it is not a fasting test which give a far more reliable result. Nurses arrange the vast majority of cholesterol / diabetes tests. Sometimes it is easier to get appt with practice nurse. You don't need to see the GP just to request these tests. That said, if a pharmacy test shows you have raised cholesterol, they always advise you go to your surgery for a proper test to get a more accurate result..........so you might as well go there in the first place. But I do understand, it is the convenience and it is better than nothing, especially if you struggle to get appts. Agree that if you are in twenties, thirties with no significant family history of heart disease (close relative developed heart disease under the age of 60), you would not be considered at risk and so might not need to be tested. Anywhere I have worked, (lots of health centres) anyone over the age of 40 who wants cholesterol / diabetes blood test check can have one. You have to see nurse first to go through info like family history / smoking etc (because sometimes aditional blood tests might also be required at the same time). In fact full MOT.....blood pressure, urine test.....ALL FREE. . In the next few months you will hear a lot more about this as big publicity drive to get all all over 40's to have these check ups done. Most of you here care about your health, the majority of people I see every day, don't sadly. Works in my area. Please don't complain to me if same is not true for you.......had a s**t day, verbally abused by someone who is very ill and thinks I am trying to prescribe something that will kill him, so won't take it. Ho Hum. And another thing......Doctors are not all men. I have to disagree. These are the sort of tests that need to be diverted away from a GP's time. They can be safely performed and interpreted by a pharmacist with relevant advice and if you are a heart attack waiting to happen based on the results, then they will refer you to your GP! Way too much NHS money is wasted by people going to the GP for symptoms and services that can be dealt with at a pharmacy. mmmm well over £200 privatearrrrr well I tried! I also agree its a good deal if you want a quick check up with a fully qualified pharmacy practioner. People thinking the NHS is free lol. Where do you think the money comes from? NO. You should never have to pay for medical check up unless it is for specific reason e.g HGV licence, insurance, legal etc. I have to disagree. These are the sort of tests that need to be diverted … I have to disagree. These are the sort of tests that need to be diverted away from a GP's time. They can be safely performed and interpreted by a pharmacist with relevant advice and if you are a heart attack waiting to happen based on the results, then they will refer you to your GP!Way too much NHS money is wasted by people going to the GP for symptoms and services that can be dealt with at a pharmacy. Agree there is lots of good advice pharmacies can provide. Just not sure lots more tests that are not that accurate is the way to go, as I said earlier you do not have to see the GP. Make appt to see the nurse instead.